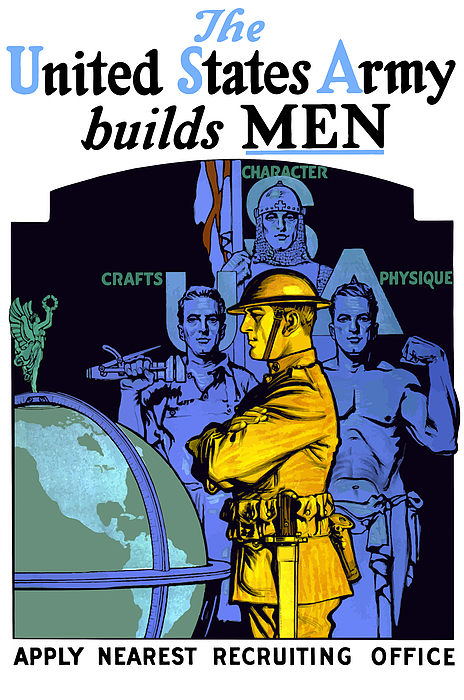 There are no comments for The United States Army Builds Men. Click here to post the first comment. 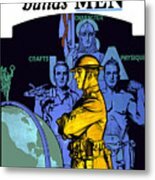 This vintage World War I poster features a soldier looking at a globe. 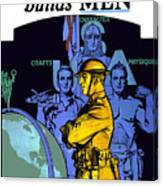 Behind him stand three men representing crafts, character, and physique. 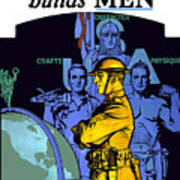 It reads, "The United States Army Builds Men, Apply Nearest Recruiting Office". Celebrate American and WW1 History with this digitally restored vintage war poster from The War Is Hell Store.